One of my family’s favourite meals is an English Cooked Breakfast which I prepare as an evening meal rather than in the morning. 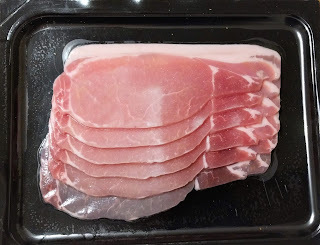 But since there has been so much worrying information regarding the negative health effects caused by nitrates in processed meats, I haven’t been buying bacon as much. 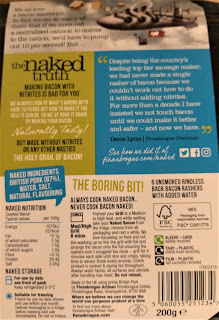 However, I discovered this ‘Naked Bacon’ by Finnebrogue which is completely free from nitrites and artificial additives. And it can be included in weight loss programmes because each rasher of bacon has just 46 calories. 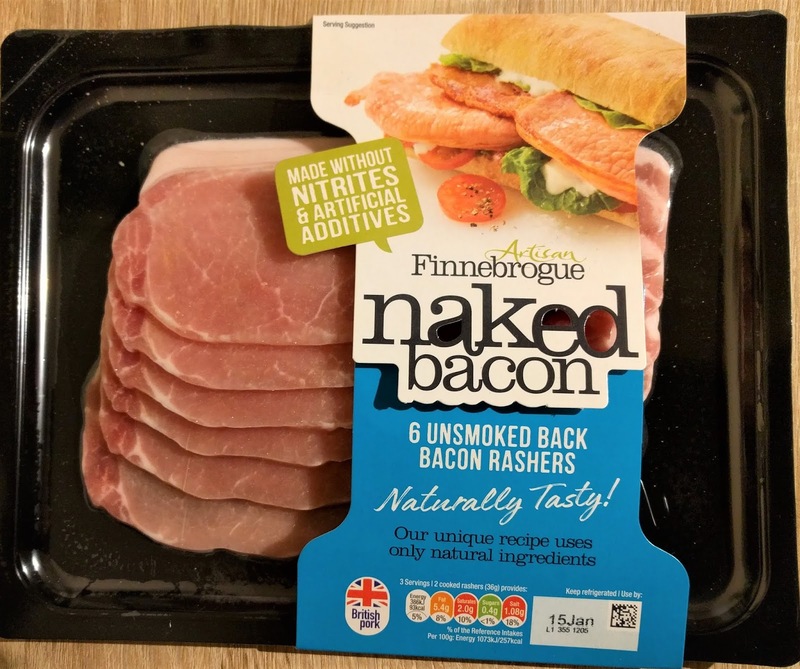 Artisan Finnebrogue Naked Bacon is available as unsmoked streaky rindless (12 rashers), unsmoked rindless back (6 rashers) or smoked rindless back (12 rashers). 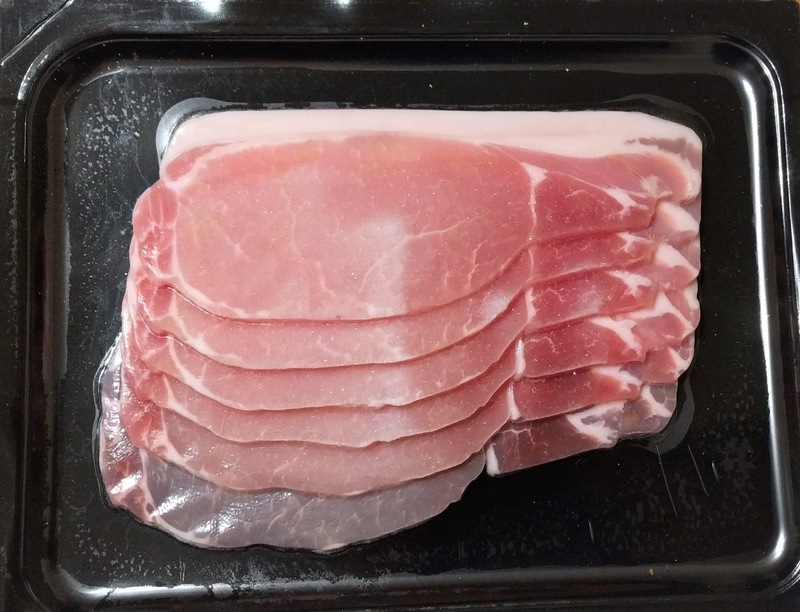 I purchased a pack of unsmoked back bacon. It can be cooked in your preferred way, but I always grill mine. It looks and smells just like regular bacon. Under the grill it crisped up well and didn’t shrivel away to nothing which is often the case when lots of water is added to the bacon. 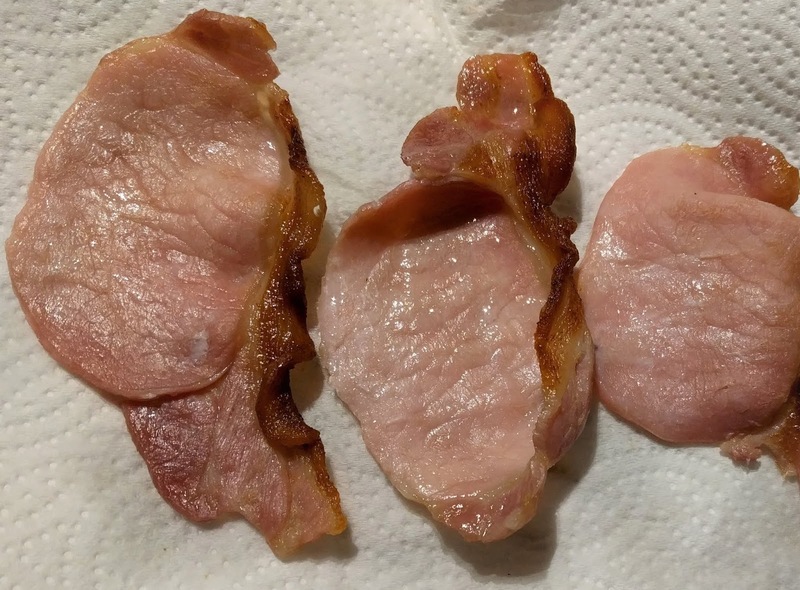 I always drain my cooked bacon on some kitchen paper to soak up any excess fat but there wasn’t much at all. My family all really enjoyed this bacon (apart from my veggie daughter) who didn't partake and they would all happily eat this again. In fact, I wouldn’t buy any bacon with nitrites in again. It’s extremely high in salt which is something to be aware of if you’ve got high blood pressure for example and it’s high in saturated fat (though you can minimise this by not eating the fat around the edge and mopping up any excess on kitchen paper). 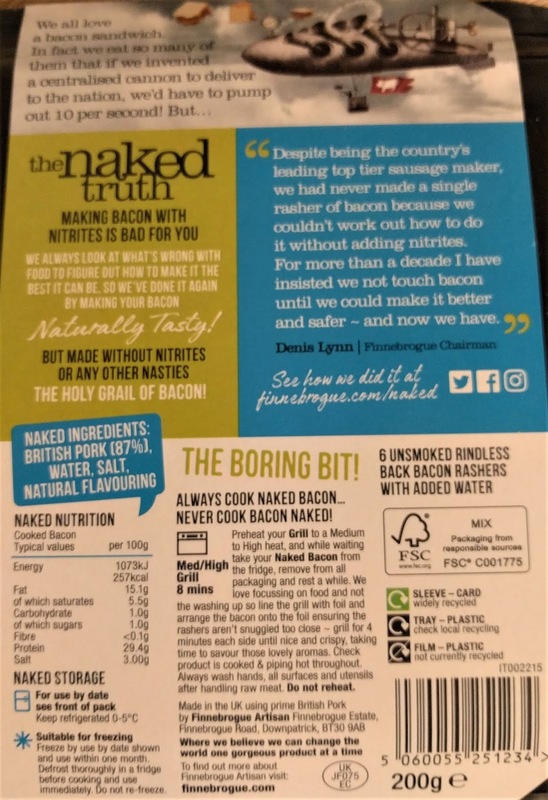 Finnebrogue nitrite free bacon is available in Waitrose, Sainsbury’s, Morrisons and Ocado online, selling for around £3.00 at the time of writing. 257 Calories (46 per rasher), 15.1g fat, 5.5g saturated fat, 1.0g carbs, 1.0g sugars, less than 0l1g fibre, 29.4 protein, 3.0g salt.